There are so many cool middle grade novels pubbing in 2014, that I'm tempted to read only what's new. After all, I have to keep up, right? But then there's my TBR list... So this last month, I've been playing catch-up at my local library. I thoroughly enjoyed these gems from 2012 and 2013, some of which I first heard about on other MMGM posts. Added bonus: they're all multicultural! Synopsis (from the publisher): American-born Skye and her Japanese cousin, Hiroshi, are thrown together when Hiroshi's family, with his grandfather (who is also his best friend), suddenly moves to the U.S. Now Skye doesn't know who she is anymore: at school she's suddenly too Japanese, but at home she's not Japanese enough. Hiroshi has a hard time adjusting to life in a new culture, and resents Skye's intrusions on his time with Grandfather. Through all of this is woven Hiroshi's expertise, and Skye's growing interest in, kite making and competitive rokkaku kite flying. Why I recommend it: This is one of those quiet books I adore so much (and I don't think there are enough of them). Skye and Hiroshi seemed like real kids to me, with real concerns. Loved the kite flying, the alternating points of view, and the little bit of Japanese I picked up from reading this. Synopsis (from the publisher): Eleven-year-old Brooklyn girl Delphine feels overwhelmed with worries and responsibilities. She's just started sixth grade and is self-conscious about being the tallest girl in the class, and nervous about her first school dance. She's supposed to be watching her sisters, but Fern and Vonetta are hard to control. Her uncle Darnell is home from Vietnam and seems different. And her pa has a girlfriend. At least Delphine can write to her mother in Oakland, California, for advice. But why does her mother tell her to "be eleven"? Synopsis (from the publisher): Pearl has always dreamed of hunting whales, just like her father. Of taking to the sea in their eight-man canoe, standing at the prow with a harpoon, and waiting for a whale to lift its barnacle-speckled head as it offers its life to the tribe. But now that can never be. Pearl's father was lost on the last hunt, and now the whales hide from the great steam-powered ships, which harvest not one but dozens of whales from the ocean. With the whales gone, Pearl's people, the Makah, struggle to survive as Pearl searches for ways to preserve their stories and skills. Why I recommend it: In a word: Pearl. The thirteen-year-old is headstrong, loving, and realistic. But the setting also deserves special mention. I could feel myself transported to the Pacific Northwest in the 1920s, with the ocean, beaches, rocks, and mist. Parry includes a glossary, historical notes, cultural notes, and other back matter, so this is perfect for schools. 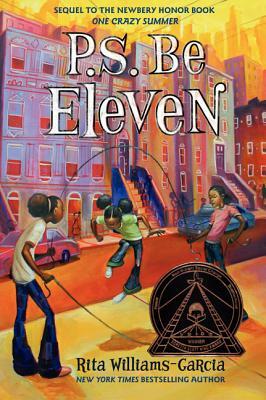 For other Marvelous Middle Grade posts, see Shannon Messenger's blog. What books are you catching up on? If at first you don't like to read, try, try again! 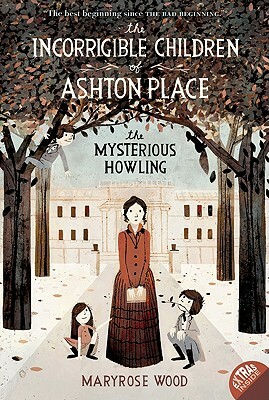 Four years ago, I tried to read The Incorrigible Children of Ashton Place... and I couldn't get into it. I read a chapter or two, said "meh" and put aside the ARC. And this time? I was utterly captivated and laughing out loud. Why couldn't I read it the first time? Who knows. Maybe I was tired of Lemony Snicket. Maybe the times have changed. Maybe I've changed. 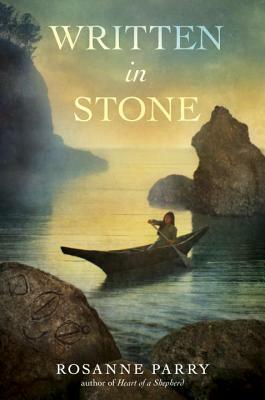 Synopsis (From the publisher): Found running wild in the forest of Ashton Place, the Incorrigibles are no ordinary children: Alexander keeps his siblings in line with gentle nips; Cassiopeia has a bark that is (usually) worse than her bite; and Beowulf is alarmingly adept at chasing squirrels. Luckily, Miss Penelope Lumley is no ordinary governess. Only fifteen years old and a recent graduate of the Swanburne Academy for Poor Bright Females, Penelope embraces the challenge of her new position. But mysteries abound at Ashton Place: Who are these three wild creatures, and how did they come to live in the vast forests of the estate? Why does Old Timothy, the coachman, lurk around every corner? Will Penelope be able to teach the Incorrigibles table manners and socially useful phrases in time for Lady Constance's holiday ball? Why I recommend it: It's downright hilarious. Yes, I realize much of the humor will go right over kids' heads (for instance, the narrator calls a couple of royals Hoover and Maytag), and there's definitely a sarcastic, Lemony Snicket tone to all of this. But it's fun. I had to keep reading to find out what happens. Which of course means I now have to read all the other volumes, because most of the questions are still unanswered (one thing that bugs me about series). Do you like reading series books that leave questions unanswered? And have you ever gone back and finished a book after putting it aside the first time? And if I missed anyone, please let me know! For other middle grade reviews, check out Shannon's blog. Source: I purchased the hardcover from Children's Book World when I met the Lucky 13s at Haverford Township Library in November 2013. Here's Caroline reading from her book. Synopsis (from the publisher): Hilary Westfield has always dreamed of being a pirate. She can tread water for thirty-seven minutes. She can tie a knot faster than a fleet of sailors, and she already owns a rather pointy sword. There's only one problem: The Very Nearly Honorable League of Pirates refuses to let any girl join their ranks of scourges and scallywags. But Hilary is not the kind of girl to take no for an answer. To escape a life of petticoats and politeness at her stuffy finishing school, Hilary sets out in search of her own seaworthy adventure, where she gets swept up in a madcap quest involving a map without an X, a magical treasure that likely doesn't exist, a talking gargoyle, a crew of misfit scallywags, and the most treacherous -- and unexpected -- villain on the High Seas. Why I recommend it: This is a rollicking romp of a novel. All of the characters are delightful, but especially Hilary (yay for a girl pirate!) and the adorable Gargoyle. This is precisely the kind of book I would have LOVED as a ten-year-old (and the kind I wish I could write). As a kid, I would have read this over and over until it fell apart. And I would have swooned to learn it's the first in a new series. Pirate's honor! My only quibble (and it's minor) is how hard it is to read the hilarious letters interspersed throughout the story. Wish they hadn't used a dark background and a cramped font. 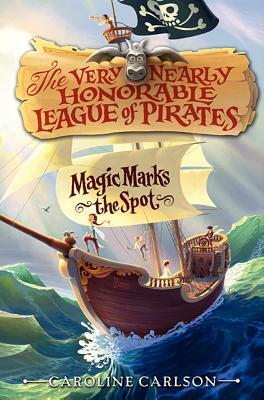 Have you read Magic Marks the Spot? If not, what funny pirate tales can you think of? Yes! I have two winners to announce today, both chosen by randomizer.org. Congratulations! Sorry you have to wait a few weeks for your prize, but as soon as I can I'll mail it to you. And this way, you have time to let me know how you want Dianne to personalize it.